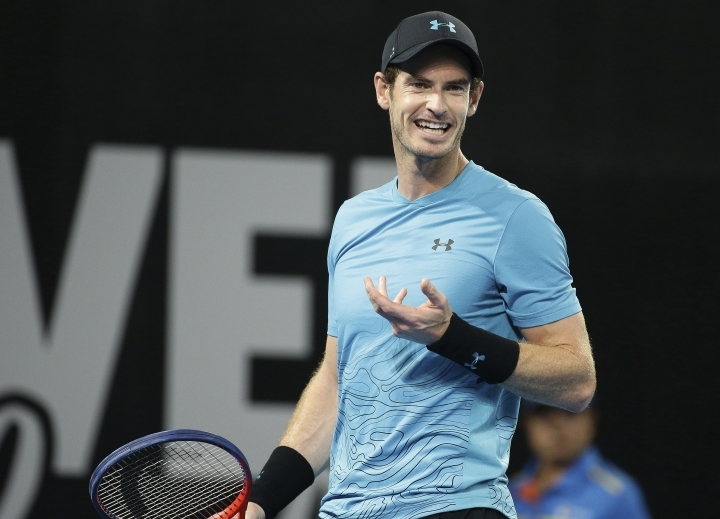 BRISBANE, Australia — Andy Murray lost his second-round match less than an hour after Rafael Nadal withdrew from the Brisbane International on Wednesday. Both players arrived in Australia after long injury breaks, and neither had played a competitive match since September. At least Murray completed two matches. 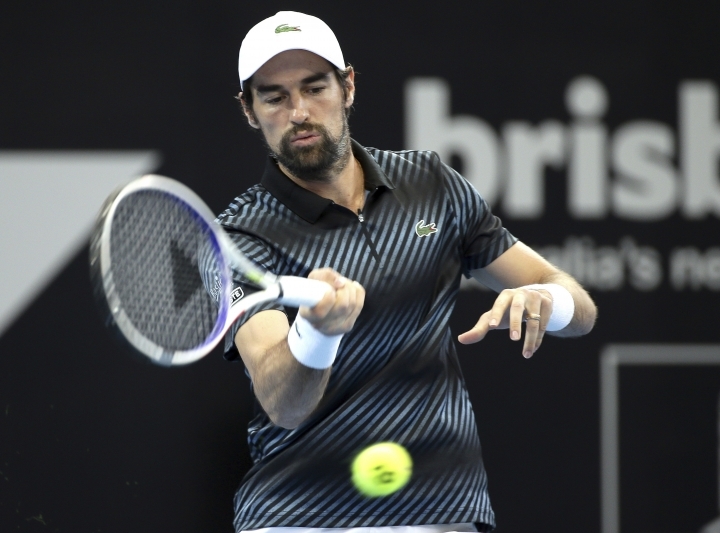 Playing on a protected ranking after an injury-interrupted 18 months, he beat James Duckworth before losing to fourth-seeded Daniil Medvedev 7-5, 6-2. There were signs in both matches that he is still bothered by the hip problem which has derailed his last two seasons. Defending women's champion Elina Svitolina also went out in the second round, losing to Aliaksandra Sasnovich 6-4, 0-6, 6-3 in the last match of the day. Murray, a three-time major champion, recovered a service break in the first set and was in the match at 5-5 until Medvedev won six straight games. "As you play up the levels, whether it's issues with your game, like if you're not serving as well or if you're not moving as well, the better players exploit that," Murray said. "He is a top player and is able to do that. I need to try and find a way of working out how to get around some of the things I struggle with a little bit now." The second-ranked Nadal had a first-round bye but withdrew on the eve of his scheduled second-round match against Jo-Wilfried Tsonga after having an MRI on a muscle strain in his left thigh. Nadal said he'd head to Melbourne after a brief stopover in Sydney for a Fast4 event to prepare for the Australian Open. The 32-year-old Spaniard is hoping he can still win the season's first major, which starts on Jan. 14, despite his lack of match preparation. 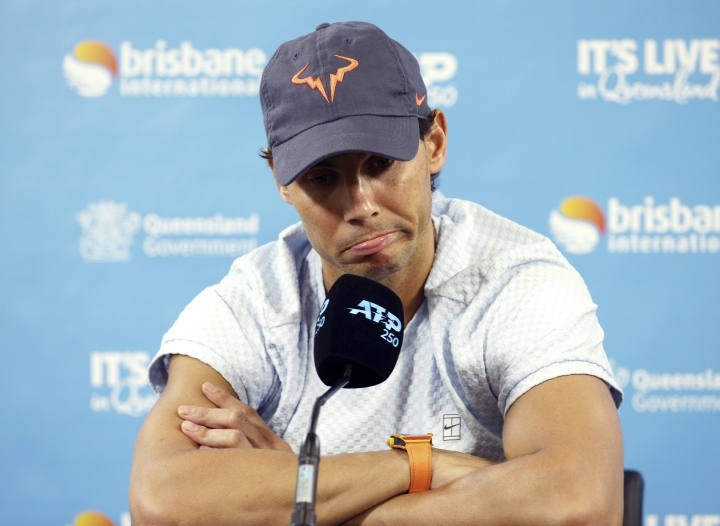 Doctors "say that it's a very small thing, but can become a big thing," Nadal said during a news conference staged while Murray was playing Medvedev on Pat Rafter Arena. "When you increase the intensity on the muscle competing, then there is a big risk to make something bigger." 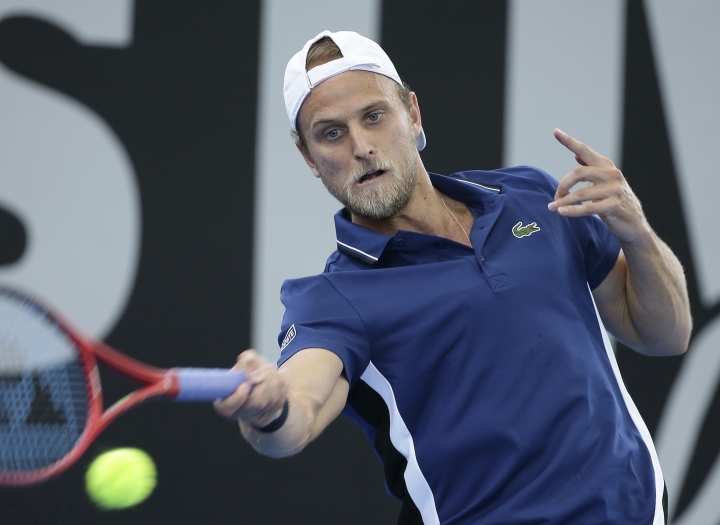 Also exiting the men's draw on Wednesday where defending champion Nick Kyrgios, who lost to Jeremy Chardy 6-7 (5), 6-2, 6-3, and third-seeded Kyle Edmund, who lost to Japanese qualifier Yasutaka Uchiyama 7-6 (6), 6-4. Second-seeded Kei Nishikori beat and 2017 champion Grigor Dimitrov had straight-set wins earlier to set up a quarterfinal showdown — a rematch of their final in 2017. 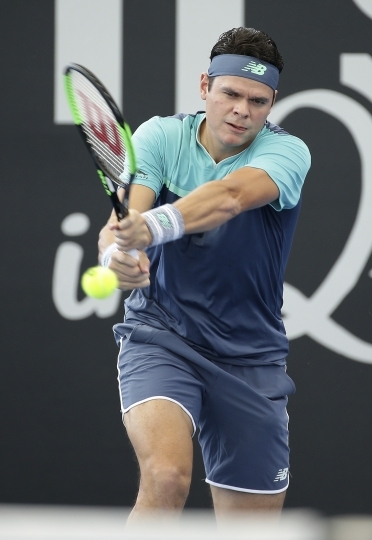 Also advancing were fifth-seeded Milos Raonic and seventh-seeded Alex De Minaur. 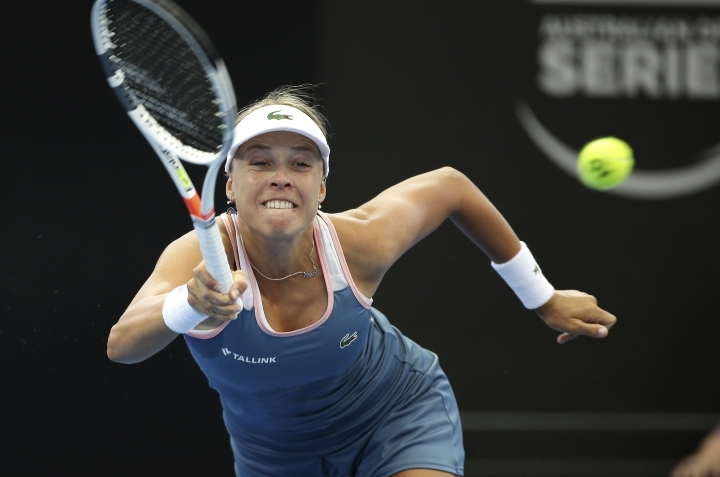 Anett Kontaveit beat fourth-seeded Petra Kvitova 7-5, 7-6 (1) to reach the women's quarterfinals, and Anastasija Sevastova advanced to a quarterfinal match against U.S. Open champion Naomi Osaka. Fifth-seeded Karolina Pliskova had a 7-5, 6-2 win over Marie Bouzkova and will next meet Ajla Tomljanovic, who beat Johanna Konta 6-2, 7-6 (2). Donna Vekic ousted No. 6 Kiki Bertens 7-6 (5), 1-6, 7-5 and will take on Sasnovich in the quarterfinals. The absence of Nadal, who was replaced in the draw by Taro Daniel, and Murray puts more focus on the Nishikori-Dimitrov quarterfinal match. 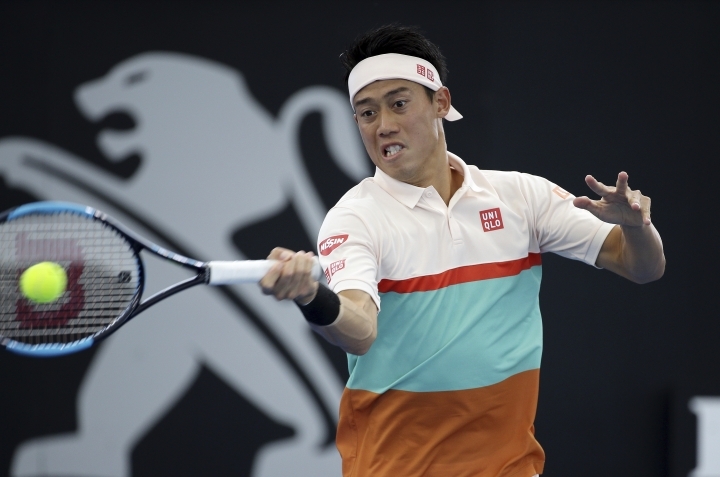 Nishikori opened his year with a 7-5, 6-2 win over Denis Kudla. 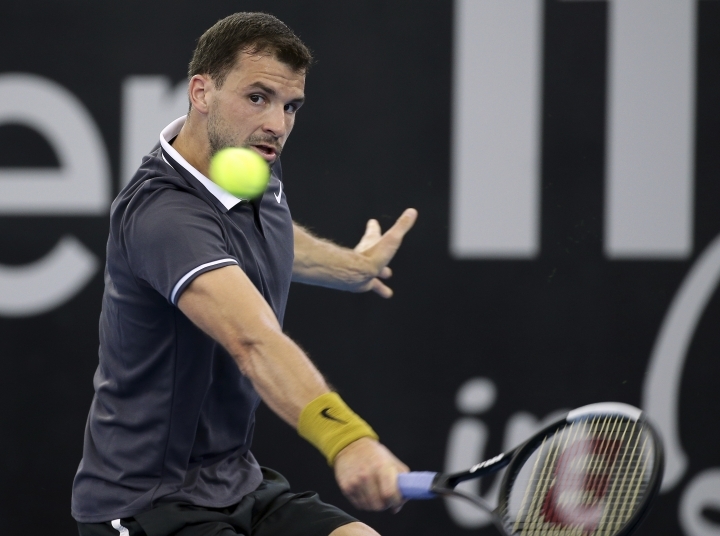 The sixth-seeded Dimitrov, who beat Nishikori in the 2017 final here, had to withstand a late comeback from John Millman before winning 6-3, 6-4. He's using the quarterfinal match as a barometer for where his preparations stand for the Australian Open. "It's great. 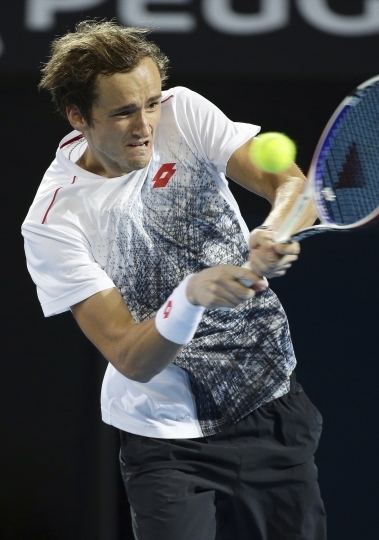 I mean it's right off the blocks," Dimitrov said. "It's perfect to play a match like that to kind of see where your game is at."